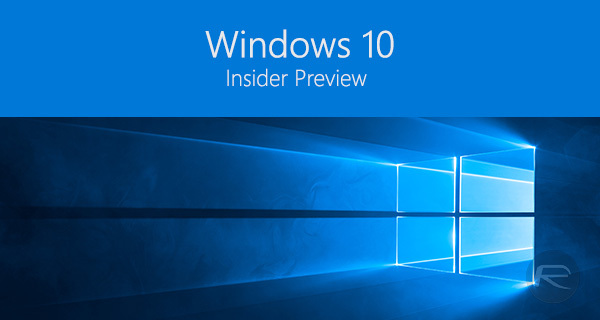 Microsoft has recently released a new build of Windows 10 Insider Preview to developers, with the main focus being the surprise introduction of what the company is calling Compact Overlay window, or, Picture-in-Picture mode to the rest of the technology-loving world. This latest introduction accompanies a number of bug fixes, internal improvements, and other miscellaneous additions, but instantly makes it easier for Windows 10 device owners to make better use of multiple apps at once. Just like the feature known as Picture-in-Picture on the likes of Apple’s iOS and Google’s Android, Microsoft’s implementation of Compact Overlay window makes it very easy for PC owners to essentially pin an app above all other windows in a small, compact window. This can be done with any app, but it definitely makes perfect sense to use this when playing a video, making it easy to watch that content whilst still getting on with being productive with other apps. 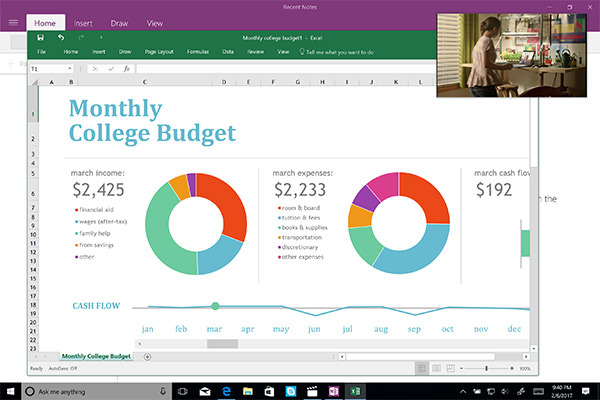 One very specific use case for this new Compact Overlay window feature could be for those using Windows 10 in Enterprise environments, during single or conference Skype sessions with a note taking app or email client open whilst having this Skype video pinned to the screen above all other windows. Of course, it’s very likely that this feature will be used predominantly by video player apps. From a consumer perspective, this is great news and definitely a new feature that will improve the Windows 10 experience. It’s also positive news from a development perspective. Microsoft’s implementation of Compact Overlay functions exactly the same as standard windows in the Windows 10 environment, meaning that there shouldn’t be too much work for developers for updating their apps, or even creating new ones, to support this functionality once it has gone live in an actual public update of Windows 10. Apple has added similar feature to iPads with iOS 9 and to Macs with macOS Sierra last year. It seems that Microsoft has recognized the popularity of such a feature and followed that lead. Other notable improvements in this latest Windows 10 beta build is the introduction of a new Dynamic Lock which allows you to setup your PC to auto lock whenever a Bluetooth paired device such as a mobile phone is not in close-proximity to the PC anymore or vice versa. Microsoft has also changed the Share icon, and has also updated the Windows Game Bar to offer support for more titles. And it’s not like Opera browser had this for 10 months for video or that any media player can hide it’s UI. It’s 26 years since Windows 3.0 introduced the same amazing ability to see more than one application at a time. I’m so glad we’ve come so far. Isn’t that windows had “always on top” window mode since long ago? The difference is that it depends on the app developer to implement it. It’s considerably different than everything the people before me posted about. Really it’s the next logical step for multiple windows. Can’t wait for more support. Been doing this for years with an always on top hotkey.